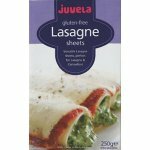 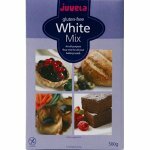 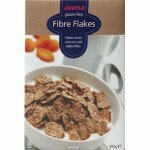 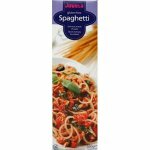 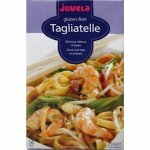 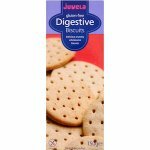 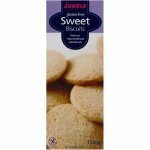 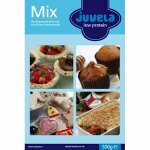 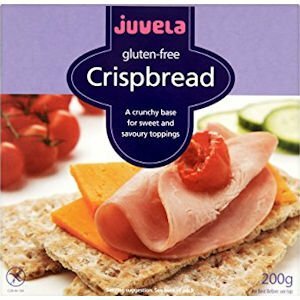 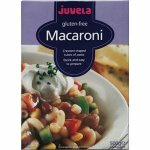 The Juvela Gluten Free Crispbreads are a Swedish style crispbread with a crunchy texture and nutty flavour, suitable for a range of toppings. 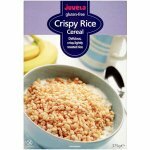 9 months unopened; once opened, will stay fresh for several weeks if stored in an airtight container. 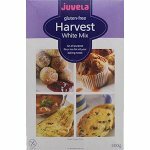 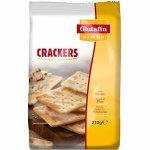 Maize Starch, Rice Flour, Potato Flour, Modified Potato Starch, Sugar, Buckwheat Flour, Sugar Beet Fibre, Stabilisers (Guar Gum, Hydroxypropylmethylcellulose, Sodium Alginate, Pectin), Vegetable Margarine (Rapeseed Oil, Palm Oil, Coconut Oil, Water, Salt, Emulsifier (Mono- and Diglycerides of Fatty Acids), Citric Acid, Flavouring, Vitamin A and Vitamin D), Salt, Yeast, Raising Agents (Glucono-delta-lactone, Sodium Bicarbonate,), Iron Powder, Niacin, Riboflavin, Thiamine, Vitamin B6, Folic Acid.